The state chairman of UDP, Prince Jideofor Ngene, was reported to have addressed pressmen and stated that “the party after its resolution decided to support Gov. Ifeanyi Ugwuanyi in his good governance to lift Enugu state to a greater height” and “ensure continuous existence of peace in the state”. Prince Ngene, who applauded Gov. 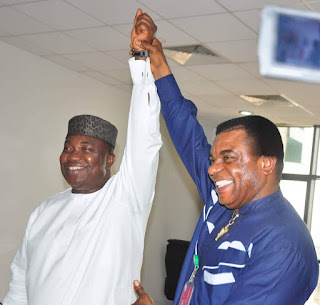 Ugwuanyi for “carrying everybody along irrespective of political party”, stressed that the governor is a man of peace who has placed Enugu State in the hands of God”.